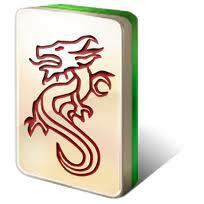 Mahjong 3D Dimensions Online and Free! Enjoy! This 3D Mahjong is a new version of Solitaire Mahjong, a Mahjong game made especially for you to play online on your computer. The Mahjong Solitaire is different from the Traditional Mahjong (the classic ancient version of the game) since the original version of the game, the one played with real tiles, you need at least four players at your table. Actually, all the Mahjong Solitaire games available here (such as Mahjong Titans and Mahjong 3D) do not require four players and are definitely a lot more convenient for that reason. That makes it easier for you to enjoy all the online games you can find here on our web site at any given moment you like. 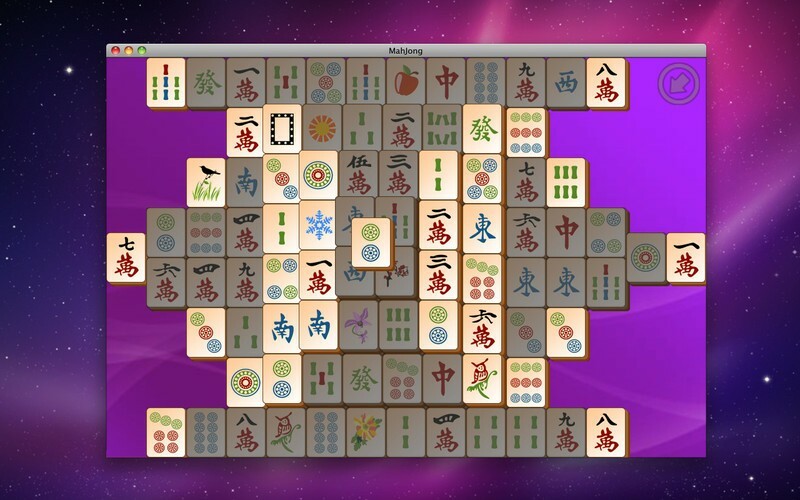 The first Mahjong Solitaire games were created specifically to be played on computers and were later propagated all over the world through Microsoft’s Office Package that offered some Mahjong games such as the famous Mahjong Titans. Which is another version of Mahjong Solitaire. 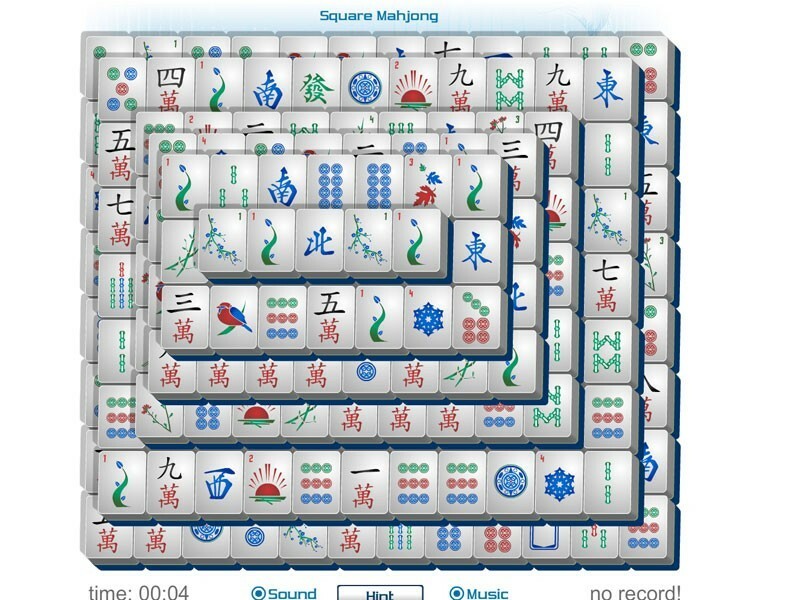 All these Mahjong Solitaire games bring you an interesting combination of the traditional Chinese Mahjong and some Solitaire characteristics, the most important of them all being the fact that on Solitaire Mahjong you can play ‘solo’, while on the traditional Chinese game you can only play if you have a total of four players at your table. Certainly Mahjong 3D is one of our favourite games, with all the customisation options that give you infinite possibilities in the game and allow you to play exactly the game you wan to play. Besides, the game presents some very interesting and useful buttons that you will be able to see as you play, such as the button “Hint”. On the initial screen of the game it is possible to notice all the options you have to play this game. Start – To start a new round with no customisation, or the standard options, all you have to do is click on “Start” and begin to play immediately. If you don’t want to waste time or you don’t mind the layout of the game, or the game’s pieces (tiles), then the Start button will be the ideal way for you to start your game and have fun with no further worries, straight away. Layout – If you click on the “layout” button you will be taken to another screen were you will be able to choose from twenty-five different layouts for your board (where the pieces will be laid). Certainly, at least one of the layouts available will be to your liking! It is worth saying that the layouts change not only in their form but also on the difficulty level which you will have to play . Among all the layouts options available, you will find the “classic” layout and other more traditional layouts such as the “3D pyramid”. Also, if you like something fun and different, you can choose among some interesting options such as “Bizarre” and “The Boat”. Another very interesting use for the Layout button is that you can customise all the twenty-five layouts offered and make the board any way you want it. To do so, all you must do is choose one layout and then press “edit”. Tile Set – Another interesting feature of this game is the possibility to choose the design of the tiles you want to use to play your game. Some people don’t like it and find it herder to identify pairs of tiles on the original Chinese character design, for those players the button “Tile Set” is of great help. Among all the different designs you can choose for your tiles, you will find the “Classic” design (which is the traditional Chinese character design), the Chrome, Stone, Numbers, Tibal and Win XP (which uses icons from Microsoft’s Windows XP such as folders and the Windows Explorer icon). Editor – The Editor button on the initial screen of the game will allow you to edit the board that you chose on “Layout” and customise it accordingly to your needs and preferences. You can use this button in the same way you use the “edit” when you are choosing your layout. How to – This button will take you to the basic rules of the game and teach you the foundations of how to play Mahjong 3D. Although, all the rules there are in English. – Many players don’t like that music playing on the background while they are playing (or they play at work and don’t want to bother other people, or don’t want to be seen playing). If you are one of those folks, to turn off the music on this version of Mahjong all you have to do is to click on “Music”, and no music will bother you. It’s worth saying though that even if you do turn off the music, there will still be those other little sound effects when you combine pieces or when you don’t make any sequence in time to win a bonus. So, pay attention if you’re at work (or mute your computer)! – On the superior part of the screen you will find the “2D” button. When clicked this button changes the board and the pieces (tiles) of your game to a 2 dimensions (2D) design. Using the 3D button your board and your pieces will be changed to a 3 dimensions design. This is a matter of taste and will depend on which version each person prefers, but it is a fact that the 3D versions is a lot more useful, since some layouts are not very easy to see some tiles that are hidden behind or beside big stacks of tiles. That being said, we do recommend you to play on the 3D version or to play on 2D and switch to the 3D one when you realise that some tiles are a bit too hard to find. – Right beside the 3D button you will find one of the most useful buttons on this game, the “Hint” button. As the name suggests, by pressing this button some hints on how to pair up the free tiles available on the board will be given to you. 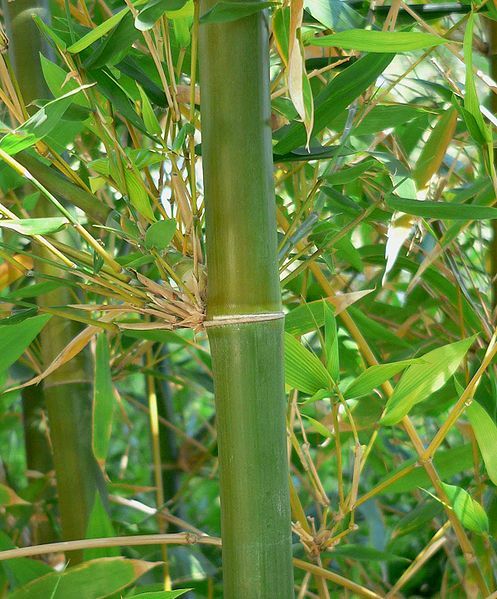 You have up to 5 of these hints to use during your game, so use them carefully. Another point to be remembered is that the hints that will be given to you won’t be necessarily the best moves you could do at that point of your game. The hints are randomly generated and just point out the tiles that can be combined, that doesn’t necessarily mean that the combinations shown are the best ones. So, keep that in mind, so you don’t end up wasting or limited hints, nor end up making a bad move! – The button “Quit”, right beside “hint”, will end your round if you press it. Be very careful to not press this button accidentally because it will finish your game and take you directly to the initial screen, there are no confirmation screens here, attention! – Tiles Left: on this part of the screen you can see the numbers of tiles that still on the board. At the beginning of the game this counter starts at 144 and it goes down as you pair up and remove the tiles off the board. – Free: shows the amount of “free” tiles that still can be combined on your game. The free tiles are the ones that show at least one side (right or left) without any contact with any other tiles and also that do not present any other tiles on the top of them. 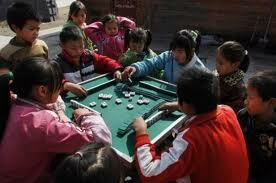 See below the free rocks on the traditional layout (classic) of a 3D online Mahjong game and Mahjong Solitaire game. – Equal Pair: Shows the amount of identical pairs of tiles that are available on your game right now, that can combined and taken off the board. This function ends up being very useful once all your hints are over and you can’t find any more identical tiles to be combined. It is a confirmation that there are still available matches or that you really lost your game. – Bonus: It starts at 1000 and goes down with the time. It works as a way to give you extra points if you keep combining pairs of tiles before the time runs out. Every combination you make, the chronometre goes back to the 1000 points mark.Thus, try to make your combinations quickly so you make more points in your game! Keep in mind, though, that you shouldn’t just go around making combinations as fast as you can without any strategy, because that can lead you to a tragic end as you might make some bad moves without analysing the board. That can get you stuck to a point where there are no more moves to be made and that’s gave over. – Score: It shows you the total amount of points that you have already made in the game. It’s good for you to start tracking your punctuation so you can keep track of how quick you’re improving your skills at this Mahjong 3D game!Wish you all a great game and loads of fun! Thanks for playing with us!